We print Holiday Cards from 80 different Brand Names from famous Designer Cards to Modern, Festive and Different Holiday Cards. 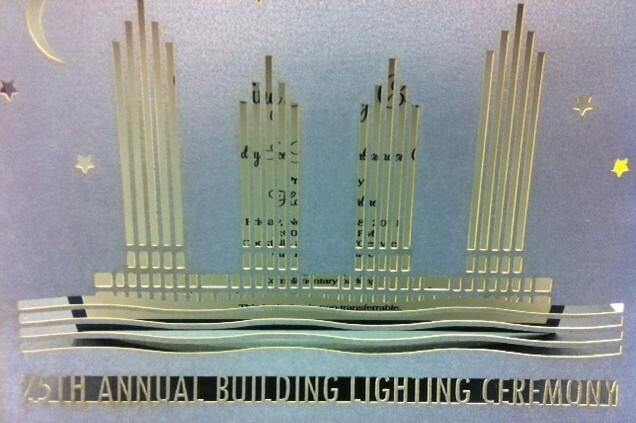 Our selection includes Letterpress Holiday Cards,Flat Printed, Thermography, Engraved and Digital Holiday Cards. 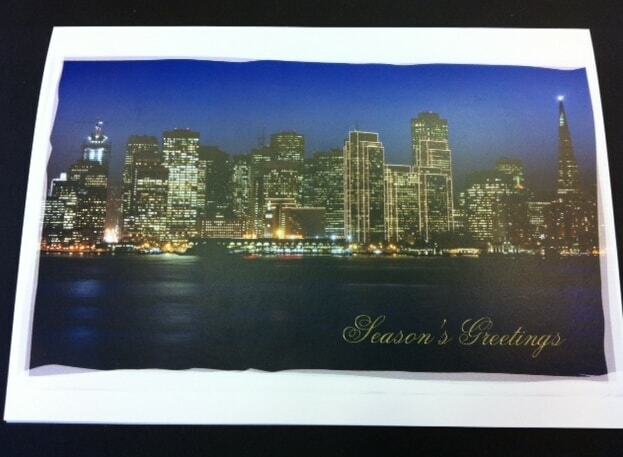 Arabella Brand holiday Cards are very exotic and rich with color and silky papers. Our Birchcraft Holiday Card Collection and Carlson Craft Holiday Card Collections have cozy, cute and adorable Card Styles which are always a customer Hit! Find our Designer Holiday Cards from Vera Wang Holiday Cards & Marhta Stewart Holiday Cards from Crane & CO. See our Whimsical & Different Holiday Cards from our Lucky Onion Holiday Cards & Marsupials Holiday Card Collections. More Fun, die-cut holiday card, holiday invitations and Party Cards include Meri Meri Holiday Cards, Charu Holiday Cards, Checkerboard Holiday Cards, Styleart & McPherson’s and Crane & Co.’s Classic holiday Card Collection. We have many for Holiday Card designs and Boxed Holiday Cards in our Store including Single Holiday Cards, Holiday Gift Tags and Holiday Gift Enclosures. We also carry Holiday Stationery for Printing Holiday Invitations and Holiday Place Cards and Holiday Table Names and Holiday Table Numbers. If you need help designing Custom Holiday Cards and Invites we can help you with your theme, colors, images and Holiday Party or Holiday Card Wording. 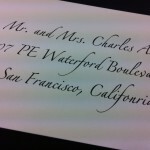 Don’t Forget about Digital/Computer Calligraphy for your addressing. If you’d like us to help you to Print your addresses with our Computer Calligraphy please call or email us or see our Calligraphy Page. Save Time and let Hyegraph address your envelopes with beautiful Computer/Digital Calligraphy with quick turnaround and affordable prices.See our Calligraphy Page for fonts, prices and ordering instructions. To see our latest custom work go to our Blog. 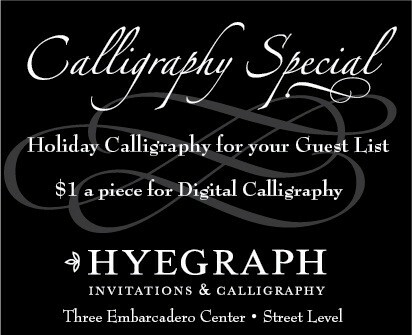 For our complete stationery invitations and calligraphy services please visit us at www.hyegraph.com. For shopping ONLINE please Visit our ONLINE SITE.